Kankaanranta, M. & Mäkelä, T. (2014). 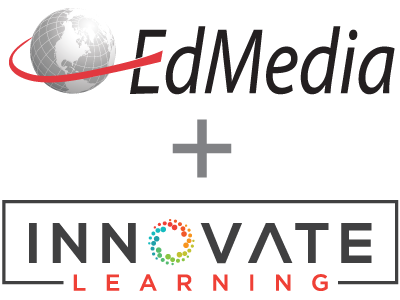 Valuation of emerging learning solutions. In J. Viteli & M. Leikomaa (Eds. ), Proceedings of EdMedia 2014--World Conference on Educational Media and Technology (pp. 168-172). Tampere, Finland: Association for the Advancement of Computing in Education (AACE). Retrieved April 24, 2019 from https://www.learntechlib.org/primary/p/147498/. Binkley, M., Erstad, O., Herman, J., Raizen, S., Ripley, M., Miller-Ricci, M., and Rumble, M. (2012). Defining Twenty-first Century Skills. In P. Griffin, B. McGaw & E. Care (Eds.) Assessment and Teaching of 21st Century Skills. Dordrecht: Springer: 17-66. Buckingham, D. (2007). Beyond technology. Children’s learning in the age of digital culture. Cambridge: Polity. Creemers, B. (2002). From school effectiveness and school improvement to effective school improvement: background, theoretical analysis, and outline of the empirical study, Educational Research and Evaluation, 8 (4): 343–362. Levine, D.U., & Lezotte, L.W. (1990). Unusually effective schools: a review and analysis of research and practice. Norrena, J., Kankaanranta, M. & Nieminen, M. (2011). Kohti innovatiivisia opetuskäytänteitä. In M. Kankaanranta (Ed.) Opetusteknologia koulun arjessa. [Educational Technology in Schools Everyday Life II]. University of Jyväskylä: Finnish Institute for Educational Research. (In Finnish), 77–100. OECD (2013) Pisa 2012 Results in Focus. What 15-year-olds know and what they can do with what they know. OECD. Raivola, R., Valtonen, P. & Vuorensyrjä, M. (2000). Käsitteet, mallit ja indikaattorit koulutuksen tehokkuutta ja vaikuttavuutta arvioitaessa [Concepts, models and indicators in the evaluation of educational effectiveness]. In R. Raivola (Ed.) Vaikuttavuutta koulutukseen. Suomen Akatemian koulutuksen vaikuttavuusohjelman tutkimuksia. Suomen Akatemian julkaisuja 1/2000, 11–28. Torrance, H. (Ed.) (2013). Educational assessment and evaluation: major themes in education. Volume 3, School effectiveness, accountability and international comparisons of educational achievement. Routledge.